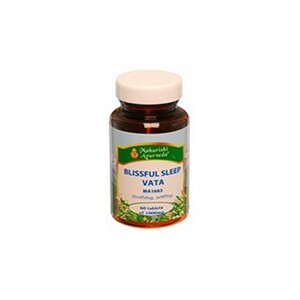 Blissful Sleep	There are 4 products. Good quality sleep is central to good health. It is also key to having a clear mind and a balanced emotional life. Yet many of us suffer from insomnia or feel insufficiently rested in the morning. Ayurveda links different types of sleep problems to imbalances in the body’s three controlling elements, or Doshas – Vata (movement), Pitta (transformation) and Kapha (structure). Vata imbalances can result in difficult getting to sleep in the first place. Pitta imbalances can result in waking up in the early hours and a difficulty getting back to sleep. Kapha imbalances can result in feelings of heaviness, lethargy and dullness in the morning. 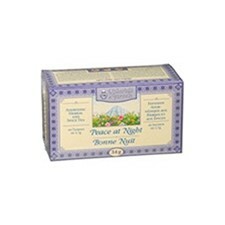 Blissful Sleep Vata & Pitta MA1684,To support uninterrupted sleep. 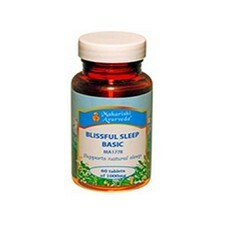 Take with Blissful Sleep Basic.